We provide our products & services in applications ranging from Factories, ware houses and data processing to switch gear rooms, military applications and cell sites to high-tech medical applications, helipads and airport hangars to power substations & oil and gas industries. Product selection and installation are done based on UL listed/ FM approvals. Time is essential in the control of fire. Automatic sprinkler systems are one of the most reliable methods available for controlling fires. Today’s automatic fire sprinkler systems offer state of the art protection of life and property from the effects of fire. 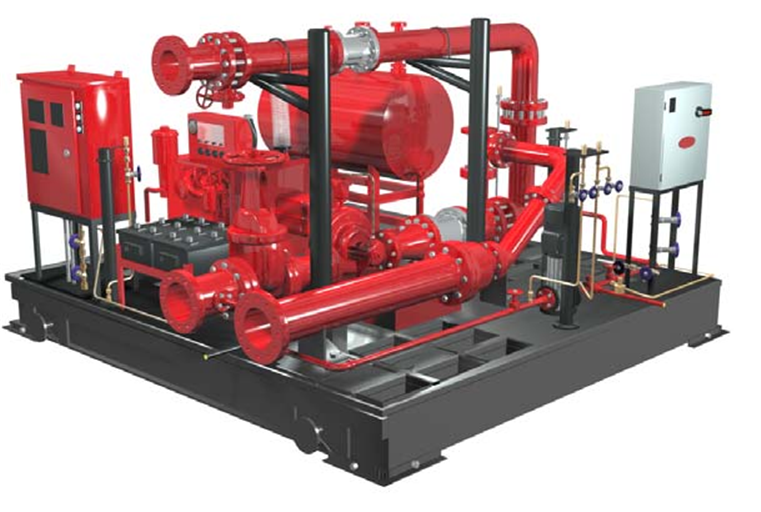 Fire hydrant systems are installed in buildings to help firefighters quickly attack the fire. Essentially, a hydrant system is a water reticulation system used to transport water in order to limit the amount of hose that firefighters have to lay, thus speeding up the firefighting process. Fire hose reels are provided for use by occupants as a ‘first attack’ firefighting measure but may, in some instances, also be used by firefighters. When stowing a fire hose reel, it is important to first attach the nozzle end to the hose reel valve, then close the hose reel valve, then open the nozzle to relieve any pressure in the wound hose, then close the nozzle.